The Kohala KG100S full size guitar is an all new student Steel string guitar featuring an Adjustable Truss Rod for maximum playability, Properly Cured Woods and Bracing for increased durability, Special Fret Installation and Pressurized Gluing methods for enhanced performance. Each Kohala guitar comes with a 5mm Padded Gig Bag and a Limited Lifetime Warranty. Kohala Ukuleles makes handcrafted ukuleles steeped in the Hawaiian tradition of sound, style, and tone. 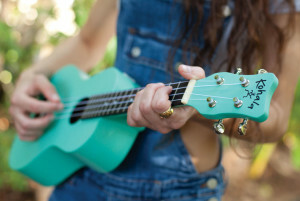 Spend a few minutes playing our ukes each day and you’ll feel like you’re on the Kohala Coast in no time. We love to hear from our customers! Please get in touch and share your music and stories.